Kimberly Dempsey is one of 15 high school teachers conducting research this summer in Columbia University’s Summer Research Program for Science Teachers, now in its 29th year. The program provides paid fellowships for two consecutive summers to New York metropolitan area secondary science teachers to do hands-on research with faculty members in Columbia University and New York Stem Cell Foundation laboratories. Through a grant from NYSTEM, New York state’s stem cell initiative, the program currently focuses on educating teachers about stem cell biology. Learn more. 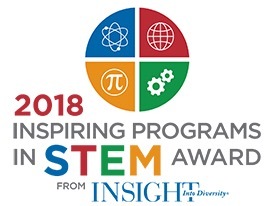 Albany Medical College has received the 2018 Inspiring Programs in STEM Award from INSIGHT Into Diversity magazine. The award honors colleges and universities that encourage and assist students from underrepresented groups to enter the fields of science, technology, engineering, and mathematics (STEM). Learn more. 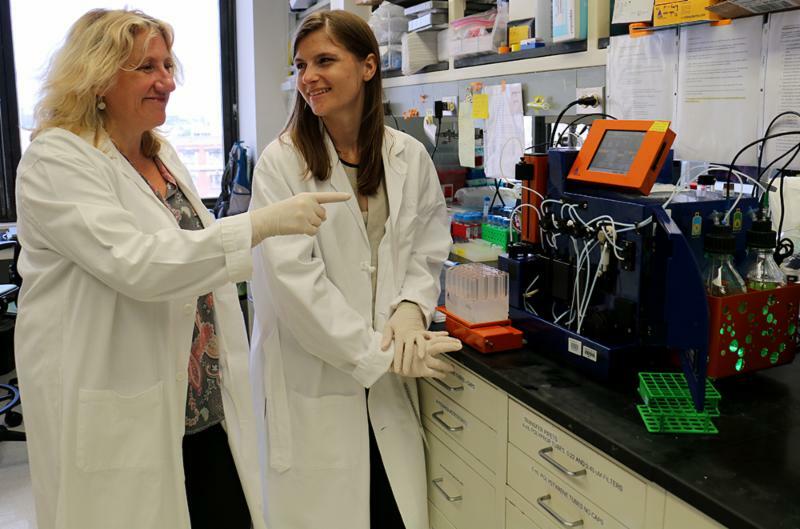 “I call them superstars,” said Assistant Professor of Biomedical Sciences Aleksandr Vasilyev. He was referring to NYIT College of Osteopathic Medicine (NYITCOM) students Ivan Bandovic and Dylan Carmichael. 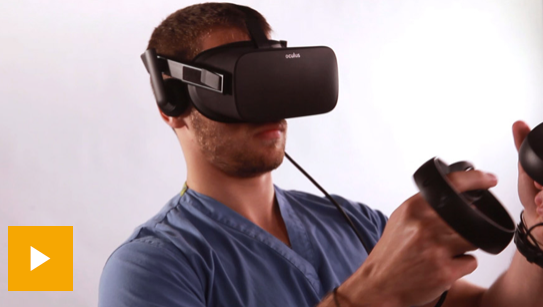 The trio developed Nephro360, a new teaching tool that uses virtual reality (VR) and gaming technologies to help students study the kidney. Learn more. The 142 medical students entering Albany Medical College donned their white coats for the first time today during the College’s White Coat Ceremony. As part of the time-honored tradition, the students also recited the Hippocratic Oath. Drawn from more than 9,000 applicants, the Class of 2022 comes from 24 states, including 36 students from New York. This year’s class ranges in age from 20-33. Learn more. 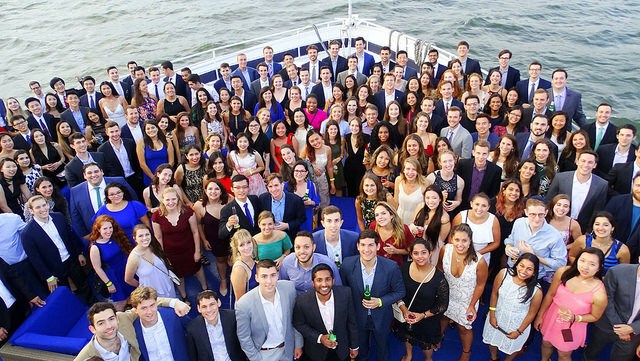 The Columbia community welcomed 140 members of the Vagelos College of Physicians and Surgeons (VP&S) Class of 2022 at the White Coat Ceremony on Aug. 13. 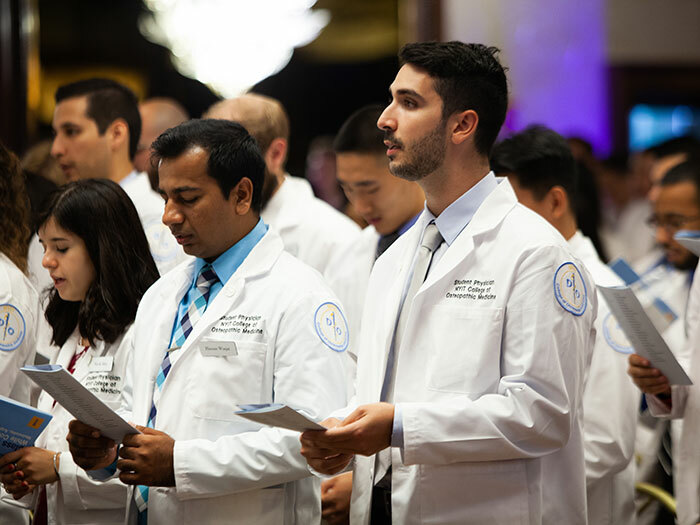 At the annual event, which marks its 25th anniversary this year, new students are cloaked in white coats and recite the Hippocratic Oath for the first time in the presence of their families and friends. Learn more. 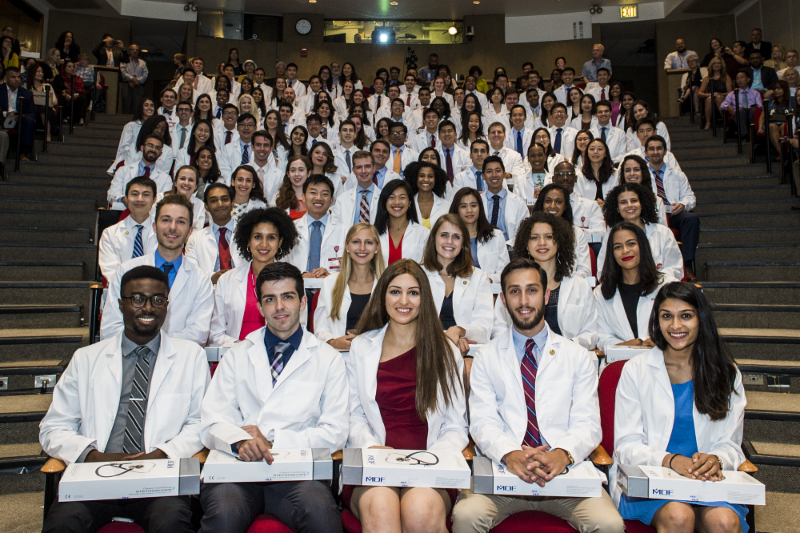 A week of celebration ensued at NYIT College of Osteopathic Medicine (NYITCOM), as the newest medical students of the Long Island (Old Westbury, N.Y.) and Jonesboro locations received their white coats, a rite of passage signifying their official start in medical school. Learn more. The newest cohort of future physicians arrived on campus at the end of July to begin their new lives as medical students. A week of orientation activities eased the new class into their journey toward becoming physicians. Learn more. Growing up in Brentwood, NY, Leslie Peralta saw that her community had many health and wellness needs. This thought, combined with her interest in science pushed her to study health sciences. She attended Johns Hopkins University and majored in biology, then followed that with a Master’s in Biomedical Sciences at Rutgers University and a stint teaching science to high schoolers in New Jersey. Her goals grew and she pursued medical school. 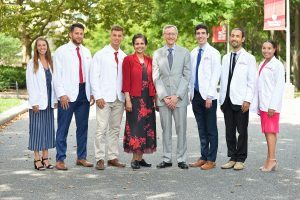 Now Leslie is among the 136 students at Stony Brook University School of Medicine making up the 2018 incoming class. Learn more. Odigie, a 22-year-old aspiring surgeon and daughter of Nigerian immigrants, dreamed of possessing a white coat of her own, joining the medical ranks and dedicating her life to the service of others. So when she got the opportunity to do just that as a first-year medical student at Weill Cornell Medical College-Weill Cornell Medicine’s medical school-Odigie did the only thing that would make this achievement feel more personal: She went out and had her name embroidered on her crisp, new coat. Learn more. 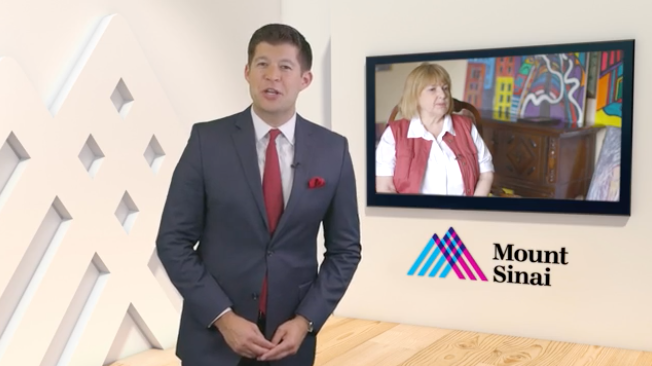 The Mount Sinai Health System has launched a new television series called Mount Sinai Future You, featuring clinicians, researchers, and patients discussing how innovations in science, medicine, and new models of care are changing the course of health care. The broadcast takes viewers behind the scenes at the Mount Sinai Health System, which is on the forefront of research and discoveries that are advancing the diagnosis, treatment, and prevention of human disease. Learn more. Growing up in Bangladesh, a then-8-year-old Mikail Kamal, DO, was fighting for his life. The diagnosis was leukemia and led to him and his family relocating to Singapore for three years for his treatment. The chemotherapy and the associated pain of the illness wound up turning a young child against the field of medicine with its constant intrusions and supposed solutions. But not forever. 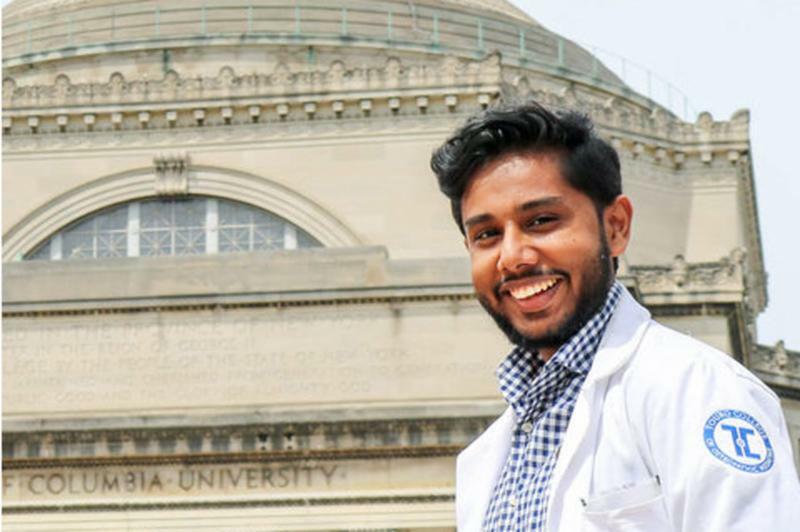 Dr. Kamal, who graduated from Touro College of Osteopathic Medicine (TouroCOM) in 2018 and is now in his first year of family medicine residency at St. John’s Episcopal Hospital in Far Rockaway, New York, would eventually channel his pain into purpose and, later, into progress. Learn more.